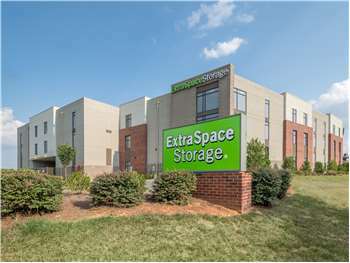 Located near the intersection of Boren St and Gilead Rd, Extra Space Storage serves residents of Huntersville. Locals will recognize our facility just south of McDonald's, First Citizens Bank, and Truliant Federal Credit Union. Never called MY phone number that I have on my contqct preferences or texted at my number, as directed. Called my husband's number that I never gave permission for them to call. He was only listed for access or emergencies. I updated my contact information numerous times and took his number off the account and yet they called his number and never called me. Invaded my privacy and gave person information out. So far, I've had a great experience with ExtraSpace Storage. The staff are friendly and the space is very secure. This facility is kept clean and secure. The staff is friendly, helpful and informative. I like that the units are inside and the drive through is secure, with gates to both enter and exit. They also have carts for you to load your items so you don't need to make several trips. I feel very comfortable leaving my precious memories and furniture with Extra Space Storage in Huntersville! Drive south on I-77. Take Exit 23. Turn right onto Gilead Rd. Turn left onto Boren St. Our facility will be on your left. Drive north on I-77. Take Exit 23. Turn left onto Gilead Rd. Turn left onto Boren St. Our facility will be on your left. Drive west on Gilead Rd. Pass Novant Health Huntersville Medical Center and continue west. Turn left onto Boren St. Our facility will be on your left. Drive east on Gilead Rd. Pass City Barbecue and continue east. Turn right onto Boren St. Our facility will be on your left.